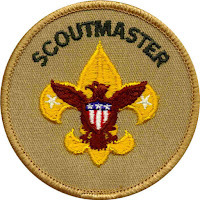 Boy Scouting is youth led and youth run. Adults do not run a Boy Scout Troop. Instead they support youth leaders. Think of it as a learning laboratory where the key method of learning is doing – where youth have the opportunity to learn leadership skills by practicing them. Youth leaders will make mistakes and adults are there to help bandage the cuts, dust off the youth, help him to his feet, give him a pat on the back for trying, and get him back in the game. All adult leaders must be fully BSA trained, over the age of 21, completed Youth Protection Training and are background checked.